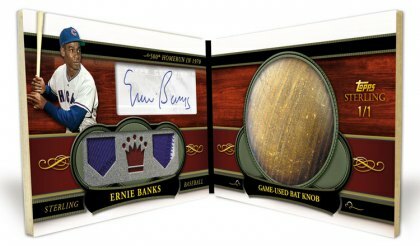 Each box has a specific theme, a few of this year's include "First Hall Of Fame Class", "The Five Ring Club", and "Rookie Phenoms". Jason Heyward and Stephen Strasburg autographs, relics, and autographed relics! 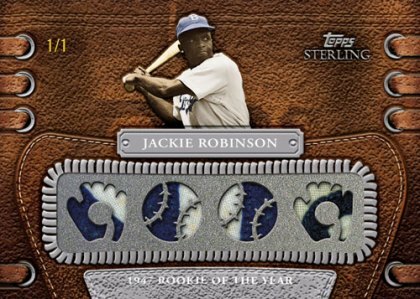 Sterling "Cut Signature Relics" of Bo Jackson, Honus Wagner, Stan Musial, Yogi Berra, Willie McCovey, Mariano Rivera, and more! 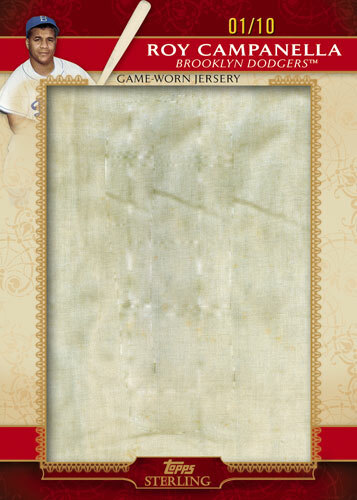 Sterling "Pair Cuts" of Babe Ruth, Lou Gehrig, Mickey Mantle, Ty Cobb, Jackie Robinson, Roy Campanella, and more! 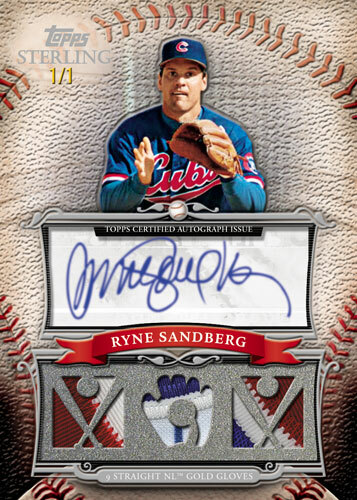 Checklist includes players from every era in baseball history! 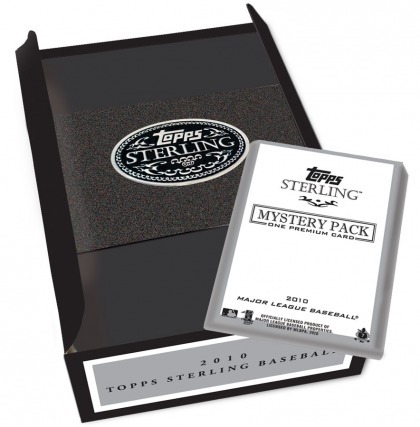 The "theme" of Topps Sterling is it's theme. 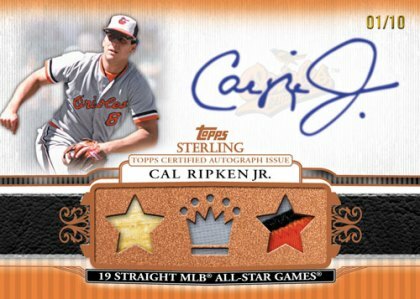 Each pack of the high-end Sterling has a "theme" printed on it, a few of this year's themes include "Rookie Phenoms", "First Hall Of Fame Class", and "The Five Ring Club". 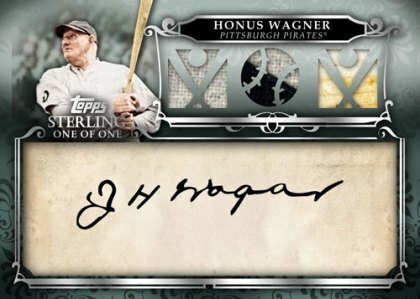 If you fancy yourself a Baseball Historian, this product is definitely something worth looking into come November.